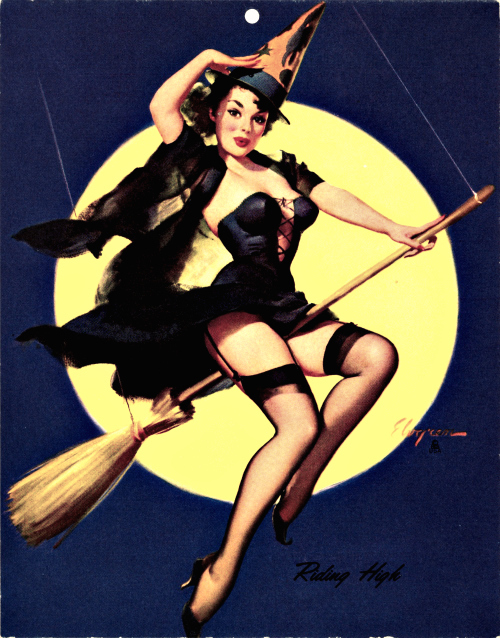 Witchy, Witchy Women – A Look at Hallowe’en Pinups! | Oh, for the Love of Vintage! I know, it has been far too long since my last blog post. I have so many ideas and information to share with you, but haven’t had the time the last several months. I do hope this changes, as I dearly miss blogging and interacting with all of you. 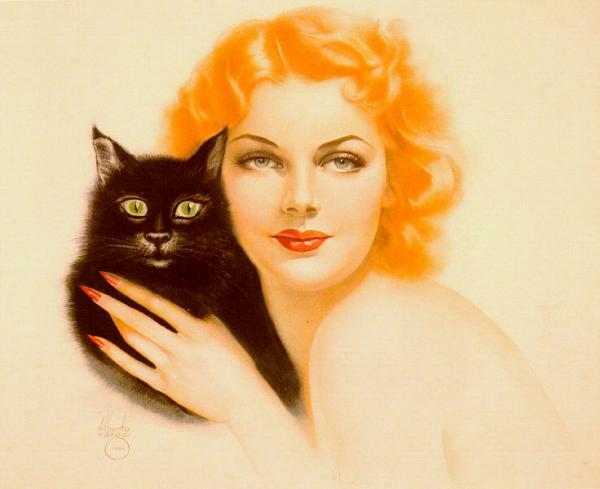 There are thousands of lovely Hallowe’en vintage pinups and photographs, far too many to share them all. That’s why I chose to narrow this post to witches! Who doesn’t love Hallowe’en? Who doesn’t love pinups? 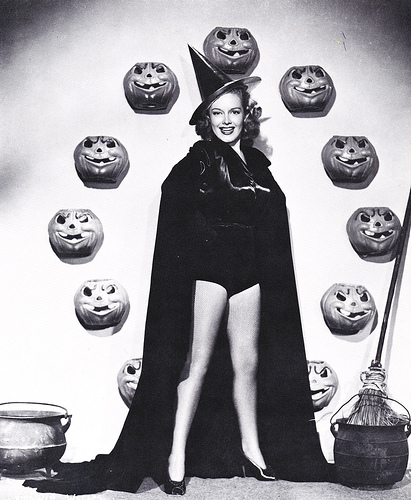 Who doesn’t love a good witch? If you didn’t answer ‘yes’ to all three questions, do stop reading this post! 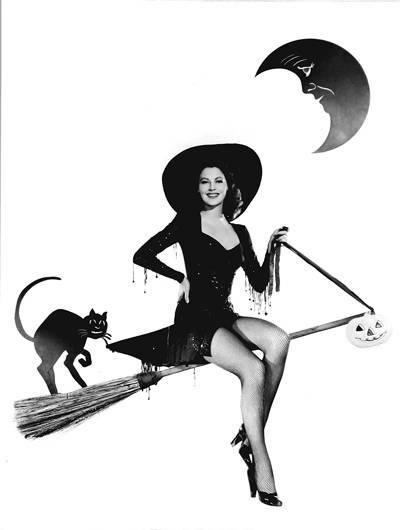 Hope you’ve enjoyed the witches on flight! What are you dressing up as for Hallowe’en? Do let me know! 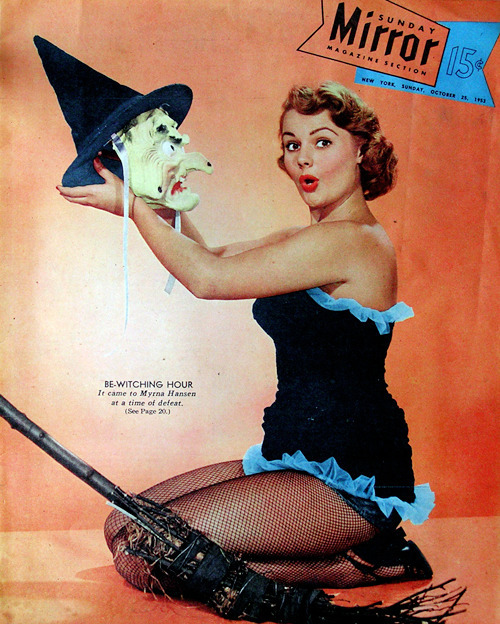 You’re a vintage witch loving gal after my own heart! Over the years (childhood and adulthood alike) I’ve been a witch more times than probably anything, but this year I’m taking my costume in a different direction (just what, however, is a surprise). I still love witch looks (be they vintage or modern) as much as always, I just thought it would be fun to try something else out for a spin. A happy hello from repurposedmind – from twitter remember?. Love your blog!!! Thank you for the comments Lauren, Miss Meadows & Jessica! I sure do miss blogging. Must carve out some time to get caught up! « Oh for the Love of…Dress Clips!